We have 20 years of excellence providing Laser Hair Removal & Electrolysis for permanent results. We can effectively remove hair for all hair and skin types. FYI: Owner Bridget M. Riley is privileged to be the electrology provider of choice for MGH Dermatology Laser & Cosmetic Center, (they invented laser hair removal!) B&W Dermatology, Beth Israel Dermatology & Harvard University Student Health Clinic and more. If that many doctors & nurses trust her, then so can you! **Advanced notice is suggested for scheduling PM and Saturday appointments, as those slots are in high demand. 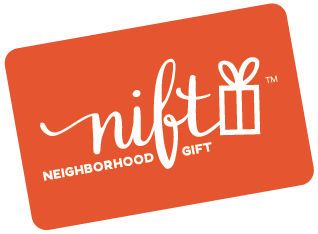 Contact us as soon as you receive your Nift to secure your reservation. I am so glad to have discovered Bridget. I had been nervous to try hair removal but she explains everything fully and clearly, and is so kind and respectful that I quickly felt I could trust her completely. I absolutely recommend her. Brigid was very informative. Relaxing experience. I look forward to returning. Thanks, Nift! It was great, i really enjoyed it! Bridget was fantastic! She explained each technique, cream, and step very carefully, and really catered the session to my skin type. I very much enjoyed the European Facial I got at Boston Skin Solutions. Bridgit was very nice and gentle, and my skin looked great after!